For seven years, starting with the 1955 300 hardtop and progressing to the 1961 300G, Chrysler created some of the most exclusive blends of luxury and performance in all of America. The Chrysler letter series set speed records in Daytona and were driven by some of popular culture’s coolest customers. Hoping to capitalize on the renown of these halo cars, the company introduced non-letter versions of the Chrysler 300 in 1962. On the outside, the 300 and 300H were nearly identical, although a four-door hardtop was offered in addition to the two-door hardtop and convertible that the 300H could be ordered in. The 300’s rear fenders were shorn of fins, and the front carried angled headlights and a cross-hair grille, all of which echoed the letter car’s looks. The car may have looked like its fire-breathing predecessors, but moved more like the Chrysler Windsor it replaced, and it was priced at nearly $1,800 less than the 300H. Under the hood, buyers could order the standard 383-c.i., 305-hp V-8, or upgrade to a 340-hp 413-c.i. Wedge engine. At the top of the heap was the same 2x4-barrel carbureted Wedge V-8 that came standard on the 300G. 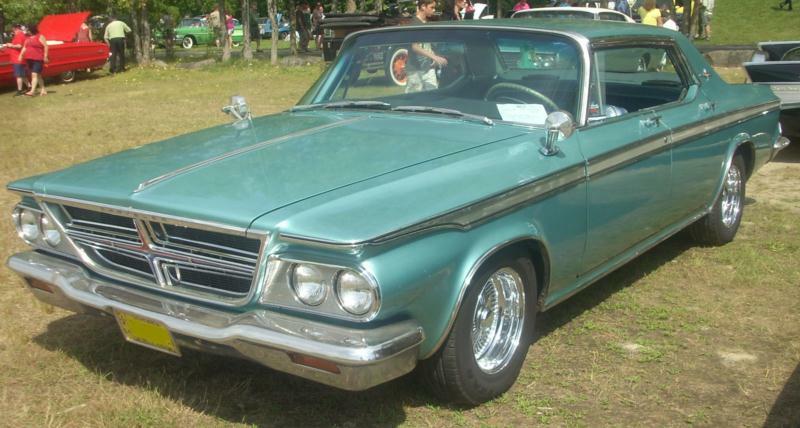 Along with the rest of the Chrysler line, the 300 received a complete redesign in 1963, with the car becoming much flatter and squarer. Last year’s top engine was not offered on the 300, meaning no powertrain was shared with the premier 300J. Instead, 360- and 365-hp Wedge V-8s were the high-horsepower choices. Convertible and two-door hardtops could be ordered as “Pace Setters,” in celebration of the 300’s selection as the 1962 Indy Pace Car. Pace Setters wore special paint and trim, and cost $300 to $400 more than base cars. The car remained largely unchanged for 1964, with one notable exception being a thicker grille treatment that gave the car a slightly heavier appearance. Another refresh graced the Chrysler catalog in 1965, with styling being completely modernized. Curves were replaced by tidy lines and angles, and the 300’s looks were brought in line with its contemporaries. The big news for the 1966 was that the letter series retired, leaving the 300 to carry on alone. That model year also saw the 413-c.i. V-8 replaced by a 365-hp, 440-c.i. V-8 that breathed through a 4-barrel carburetor. A new look graced the Chrysler 300 again in 1967, with a crisp inward curve on the car’s side and nifty fenders that pinched forward of the headlights. The 383 V-8 bowed out of production meaning the 300’s standard engine was now a 350-hp, 440-c.i. V-8 with an optional 375-hp 440 available. The car remained unchanged for 1968. After 10 years of sales, 1971 marked the end of the 300. 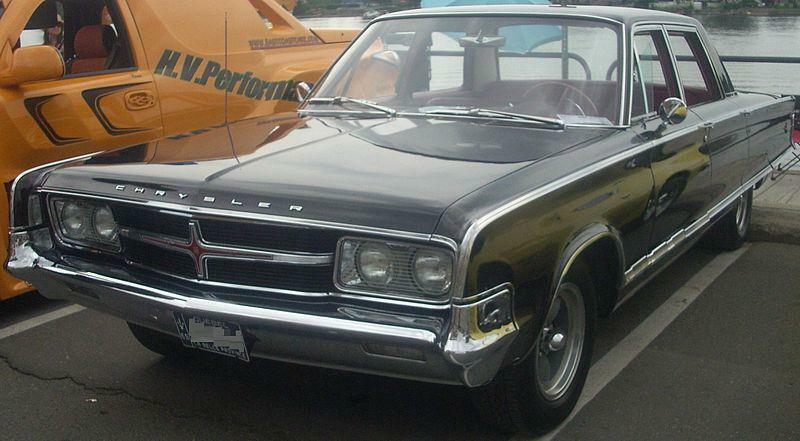 In all, more than 270,000 Chrysler 300s were built from 1962 to 1971, with 1966 being the most popular model year. The 300 is best remembered as being the younger sibling to the famed letter cars, but the later models are an especially fun way to experience 1960s-styled cars. Convertibles in particular are a good deal, as the 300 isn’t as sought after as the muscle cars that defined the era.